These are popular so please be patient. 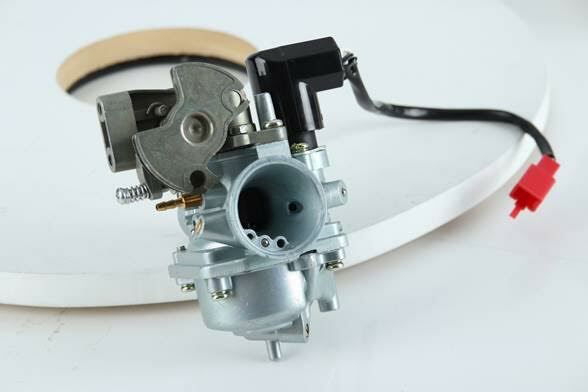 Replacement/upgrade Carburetor for the Yamaha Zuma 50cc or 70cc engines. Great upgrade or replacement. Is used on iron 70cc upgrades and does a fine job. I will push this carb for all uses. There are numerous Yamaha Zuma 50 two stroke Carburetor upgrades and replacement carbs that will need cable changes for a slide carb. The carb upgrade comes in at 2mm larger than the stock carb with a 18mm Intake as well as electric choke which plugs in with using the same push-pull throttle cables as stock.